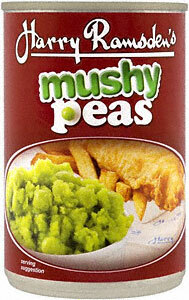 Mushy peas are the food of the Gods. They are an underestimated vitamin-packed accompaniment to any meal. 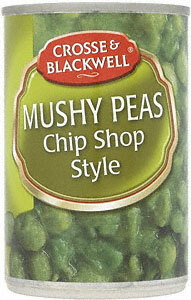 Sometimes known as Yorkshire caviar they are popular across the country, especially with a fish and chip supper. I do believe it is in Hartlepool where Peter Mandelson mistook them for the inferior dish of guacamole. 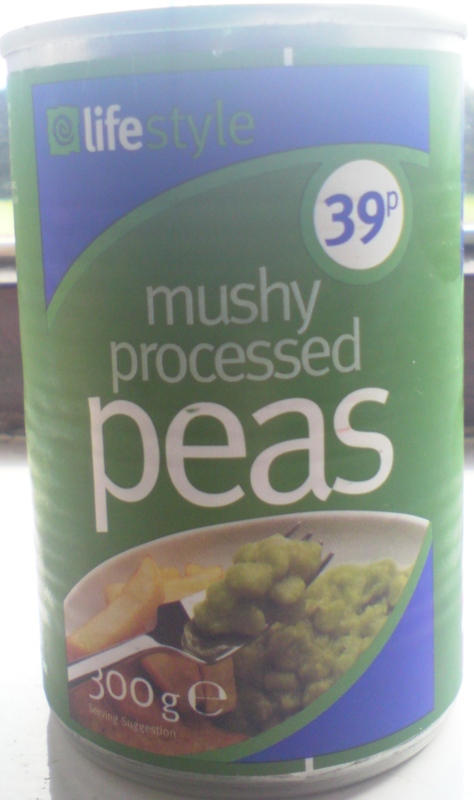 When I cook I always consider how I can add half a tin of mushy peas to the plate. I do, admittedly, prefer them cold from the tin but one can warm them if one insists. 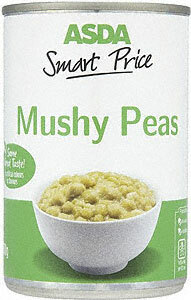 Peas are low in fat, a good source of fibre and high in protein. Even Madonna claims to like them so they must be really healthy. One can add mint to one’s peas to give them a little kick, or make a pea fritter by coating your mushy peas in breadcrumb. 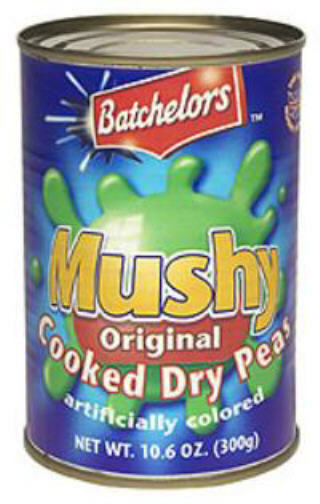 One could even follow Heston Blumethal’s recipe and add “de-ionized car-battery water” when cooking your mushy peas from scratch. I’ll stick to eating them straight from the tin with a spoon. Wish me luck again. Back next week. This entry was posted in Uncategorized by unemployedhack. Bookmark the permalink.